How effectively her medium has conveyed her message may be judged by the critical comment awarded her own original electronic compositions.Writing of “Seven Trumps From the Tarot Cards,” a completely electronic score reflecting her impressions of the occult, Donal Henahan commended Miss White in The New York Times for her “musical inventiveness and electronic sophistication.” From Paul Eberle in the Los Angeles Free Press: “Miss White has explored electronics to find a new instrumentation of voices for her compositions, and has conceived it as an extension of the music of the past,’ rather than a break from it, or-a renunciation.” “Pinions” was commissioned by dance choreographer Eugene Loring for the University of California. 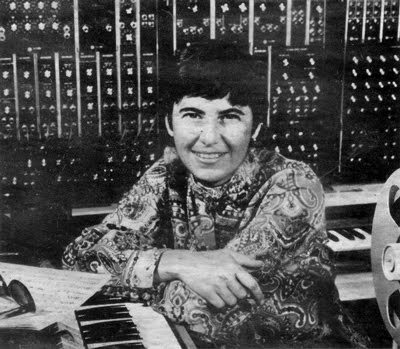 After the 1968 premiere, the Los Angeles Times commented: ” …a really exciting, organically musical, electronic score by Ruth White. Not only the soloists but all the participants seemed to draw heat from this score…”. “Flowers of Evil,” an electronic music setting for the poems of Baudelaire utilizing the human voice (her own) as an instrument, represents to Free Press critic Eberle, “…an important step in the evolution of music.”In addition to the compositions mentioned above which have involved her in the fields of choreography and spoken word among others. Miss White has become increasingly active in the arts most closely allied to electronics: television. motion pictures and audio-visual cassettes.